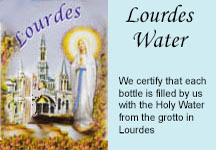 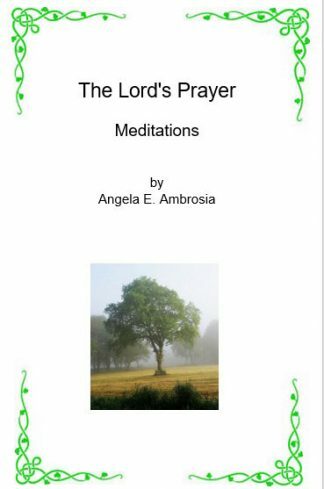 Laminated Prayer Card Discount Schedule. 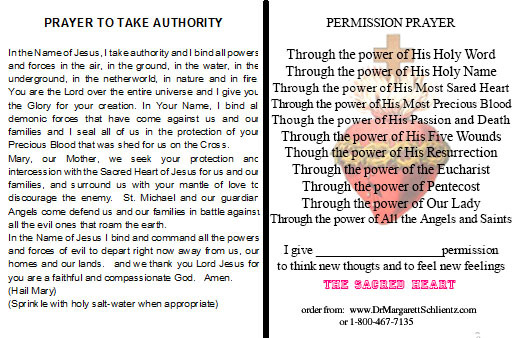 1.Front of Card: Prayer to Take Authority. 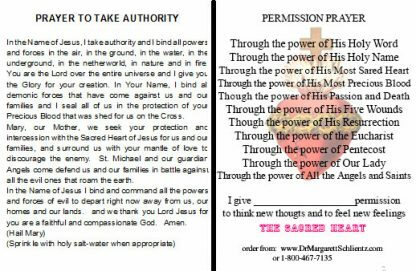 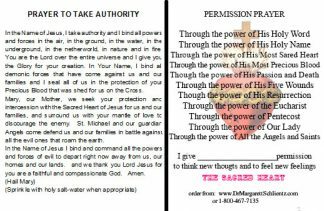 2 Back of Card: Permission Prayer.
. Laminated Prayer Card (4.5 x 3.5 inches).